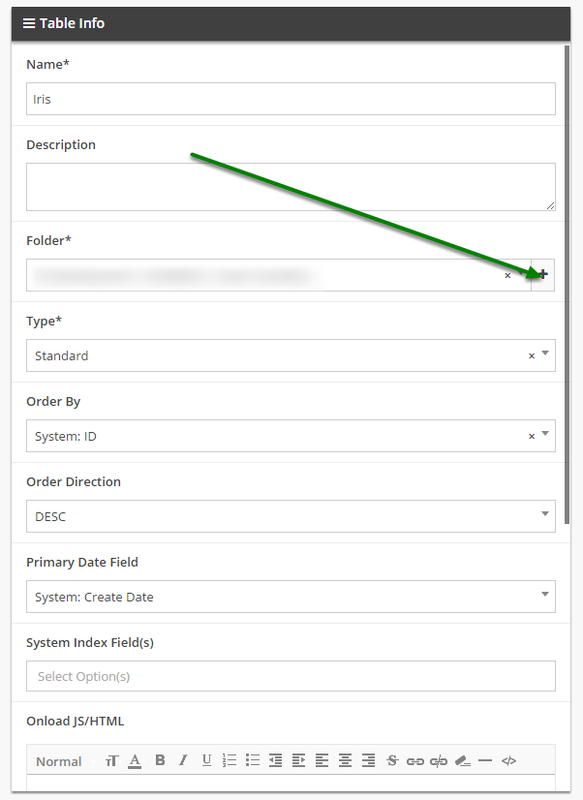 Documentation and SupportReleases Wasabi Release Notes 2016-01-20Changing table name and containing folder now supported in 'Edit Table'. 1. Open 'Edit Table' from the Table Sandwich window. 2. Enter the name to be assigned to the new table. 3. Select which folder will contain the new table. 3.1. 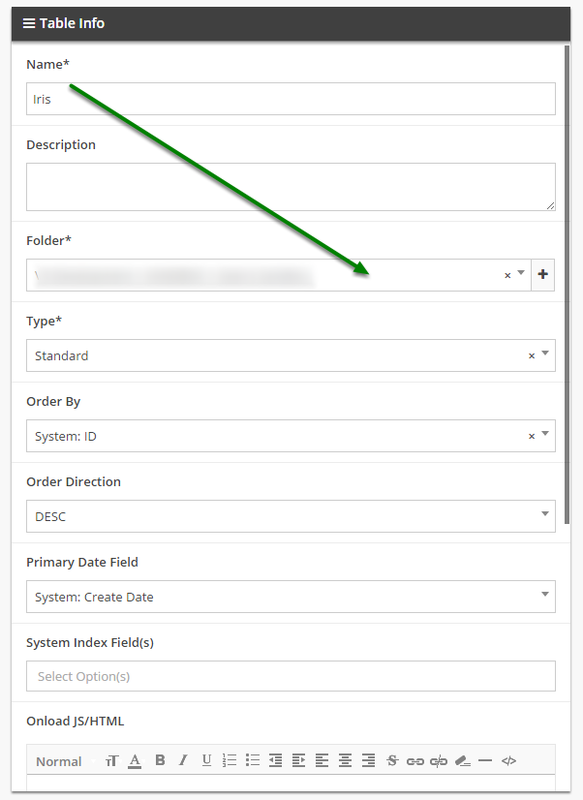 You may also click the plus (+) button to open the 'Add New Folder' modal..
4. 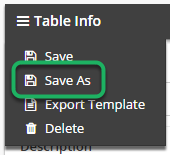 Click 'Save As' in the Sandwich menu to copy the table to a new folder with your method of choice. 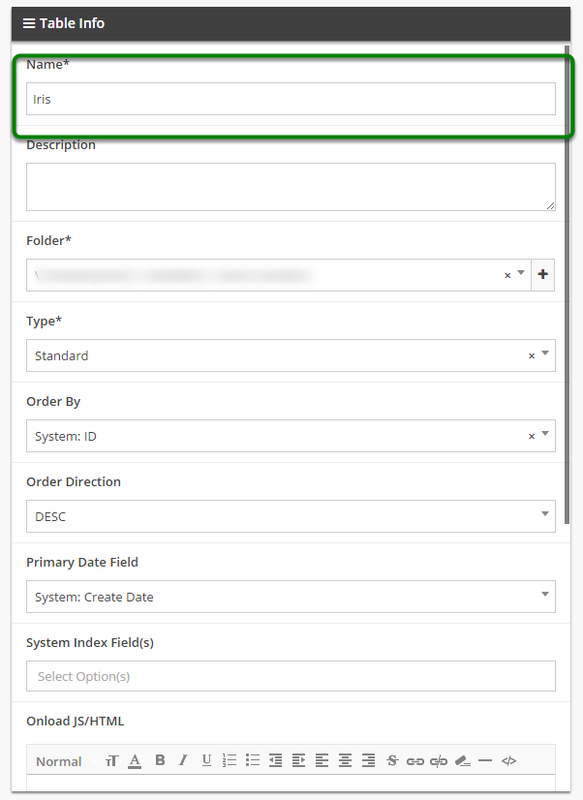 Prev: It is now possible to edit 'Keep Field' names in Pivot View configuration. Next: Users can now search for tables by table ID.